When you're at the gym you use equipment that works for you. Likewise you need a bike that performs exactly how you need it to—versatile comfortable and efficient. You need a bike like our Crosstrail with Hydraulic Disc Brakes. It features a light and tough A1 Premium Aluminium frame that's been designed with our Fitness Geometry so it will fit and feel like a dream right out of the box. Not stopping there we also included a custom suspension fork with our Brain technology that stays locked out on smooth surfaces but successfully soaks up road imperfections when the going gets rough. When youre at the gym you use equipment that works for you. Likewise you need a bike that performs exactly how you need it to—versatile comfortable and efficient. You need a bike like our Crosstrail with Hydraulic Disc Brakes. It features a light and tough A1 Premium Aluminium frame thats been designed with our Fitness Geometry so it will fit and feel like a dream right out of the box. Not stopping there we also included a custom suspension fork with our Brain technology that stays locked out on smooth surfaces but successfully soaks up road imperfections when the going gets rough. 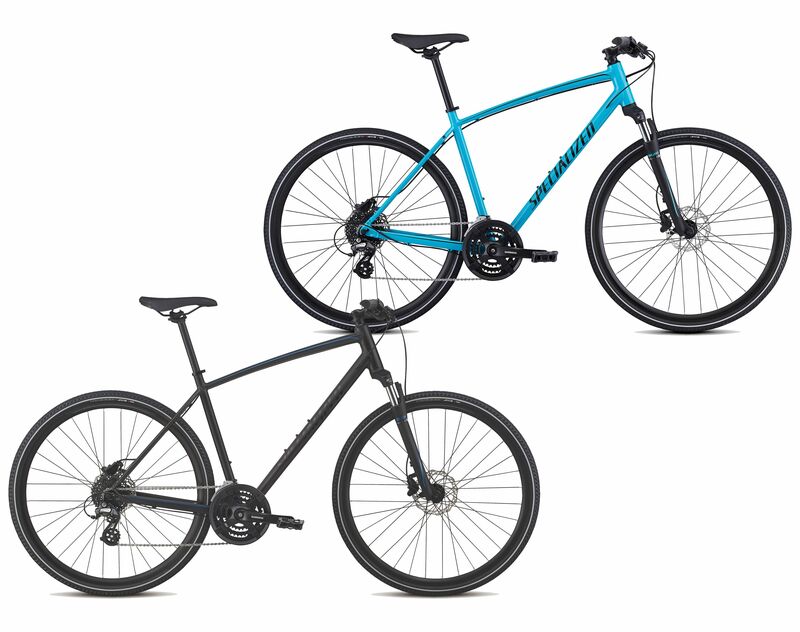 Add in a selection of strong no-fuss components and reliable hydraulic disc brakes and you get a bike thats ready to roll wherever you choose to take it. Braking duties are handled by Promax hydraulic disc brakes to ensure effective consistent and reliable power through any kind of terrain or condition. Please see below for delivery options for Specialized Crosstrail Hydraulic Disc Sports Hybrid Bike 2019.